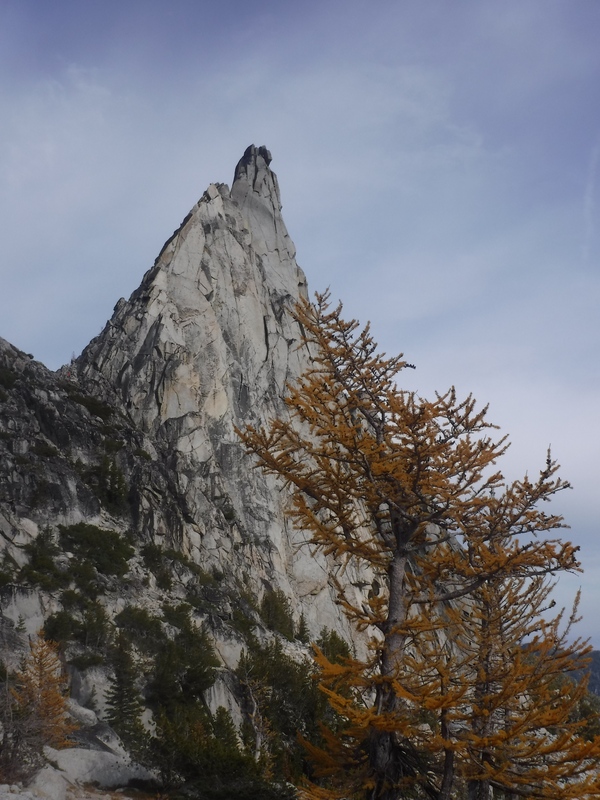 As the final golden needles of the larch, the only deciduous conifer in our region, fall from bristled branches, a crisp fog over the mountains whispers winter. 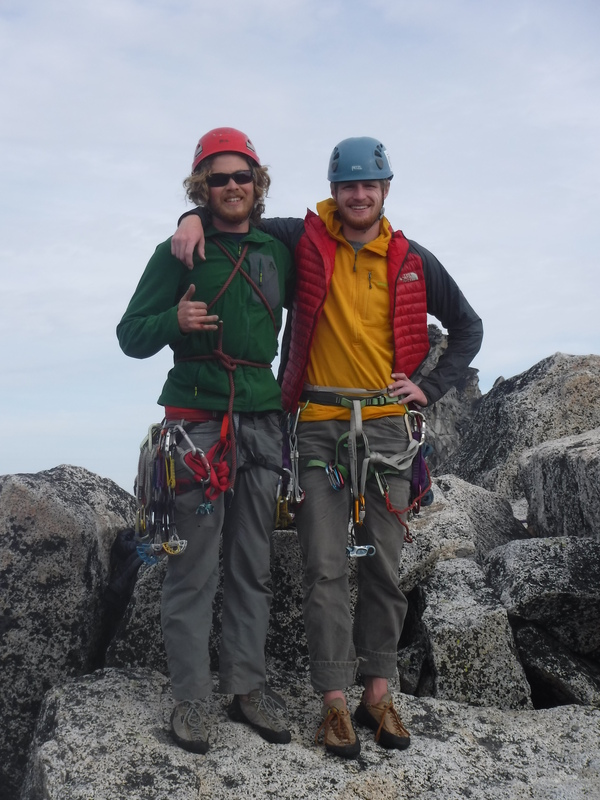 The Climb-it Change Expedition has been an amazing opportunity to explore the mountains of North America and collect important scientific data. I, and my amazing partners have traversed the Rocky Mountains from the Gila Wilderness of southern New Mexico north beyond Jasper National Park in Alberta. 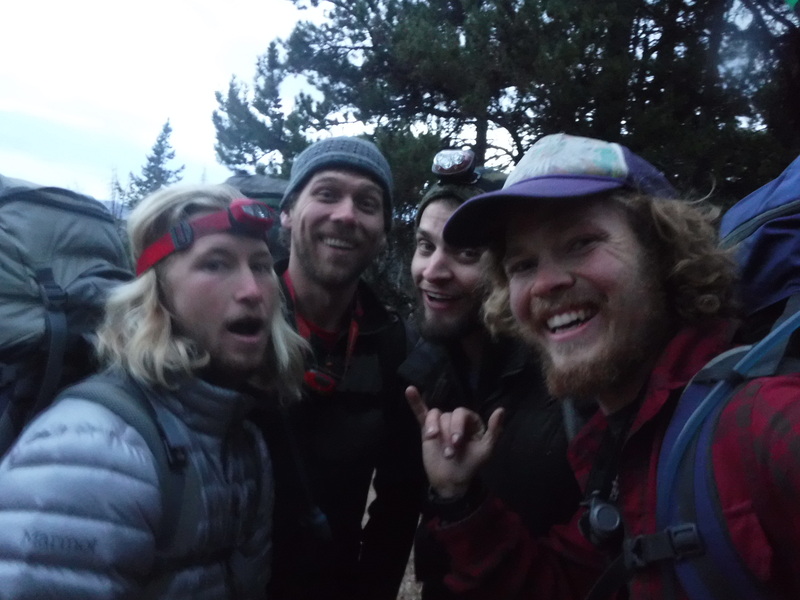 We totaled over 9000 miles on the road and 1000 on foot. Together, Matt Kneipp and I sampled 76 populations of the Spotted Saxifrage, recording the impacts of wildfire on the fragile alpine plant community. Further, we successfully rock climbed in every state and every province we explored (New Mexico, Colorado, Idaho, Wyoming, Montana, Washington, British Columbia and Alberta). Our journey has come full circle, and I have returned to Bellingham and Western Washington University. City life is far from mundane, and I have a plethora of data to analyze and prepare for publication. In less than one month, I will present the findings of my field study at the 6th International Fire Ecology and Management conference in San Antonio, Texas. I certainly have my work cut out preparing for this prestigious meeting. Despite the pressures of academia, we have continued to escape to the mountains and climb. The North Cascades of Washington State are a boundless supply of awe-inspiring peaks and jagged crags. This past weekend, on October 17 I believe I bagged the last alpine route of my incredible season, and boy what a glorious adventure. Prusik Peak, at a perfect 8,000 feet, stands as a sharp-toothed granite monolith above a sea of yellow larch and crystal alpine lakes. Nestled in the Enchantments, in the midst of the Alpine Lakes Wilderness, Prusik is iconic. Jamis Bruening, a fellow alpine climate scientist, and I were blessed with perfect weather and opportunity. 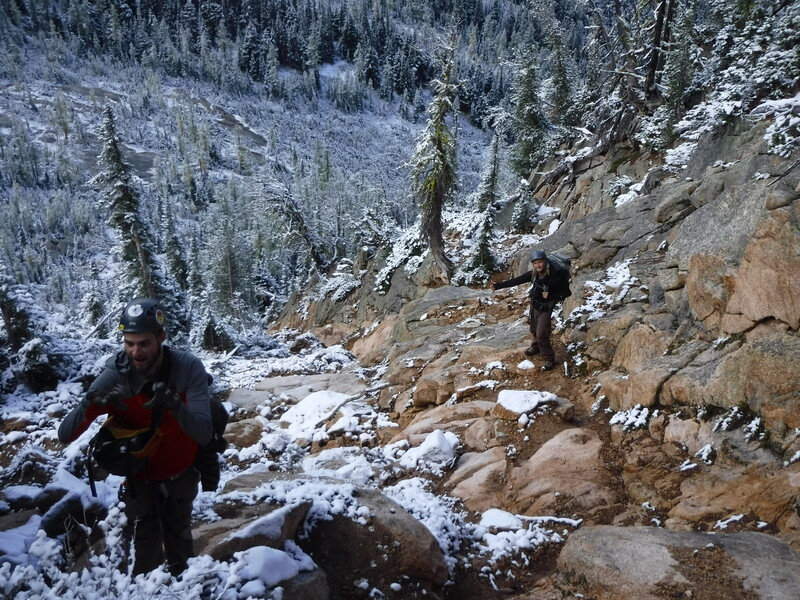 We hiked in 11 miles up and over Aasgard Pass, and were the first to climb Saturday morning. 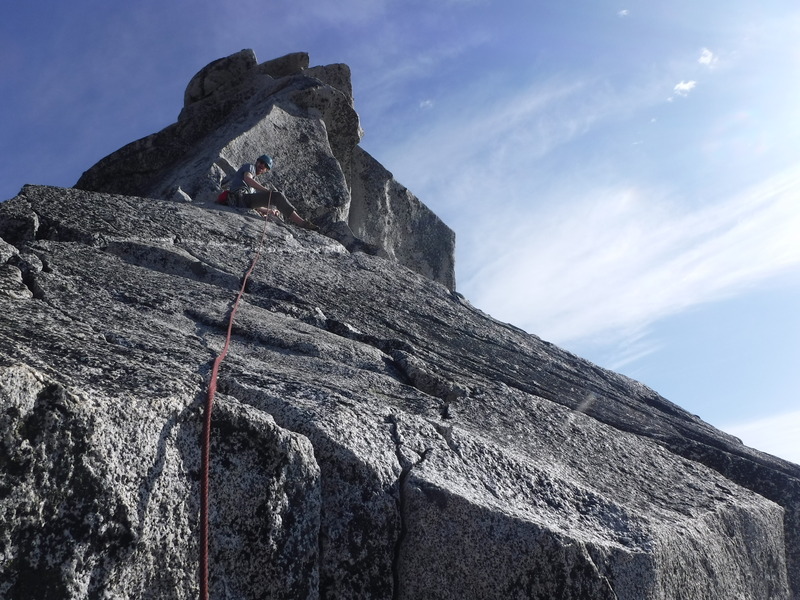 In a few hours of bliss we cruised the flawless white granite of the West Ridge (5.7 trad) and had the summit block to ourselves. With winter coming and snow looming in the forecast, this may be my farewell to alpine climbing this season; and what a perfect closure. 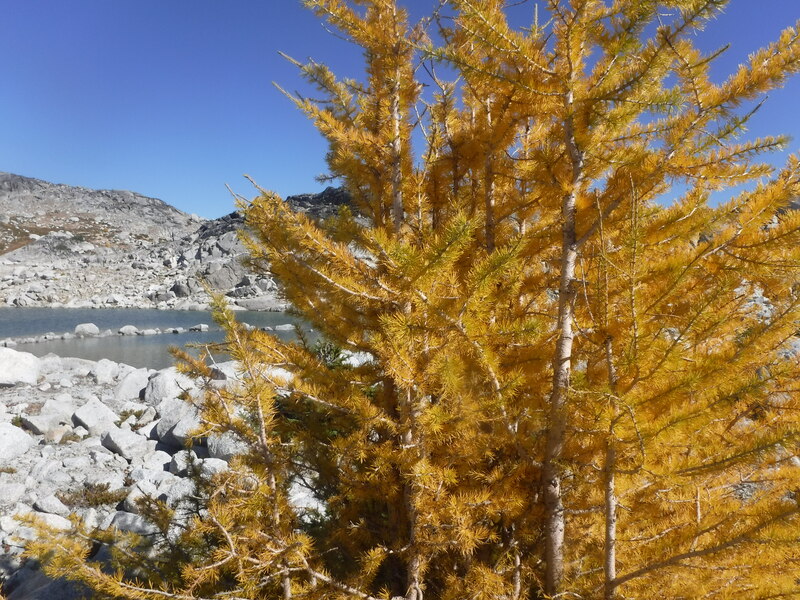 We descend the route through a sea of fallen yellow larch needles, proof that the granite mountains will soon succumb to ice. It is time for the story of the Spotted Saxifrage to be written, and for me to bury my nose in analysis. Nonetheless, life is an epic adventure and I am so grateful for everyone in my life who continue to make this research and lifestyle a reality. Until next time, get outside!